RVB/SID/NEY Incuse. Stamped or mould imparted on the stem. Initials RS sometimes moulded on sides of heel. Stem bore size: 5/64ths. 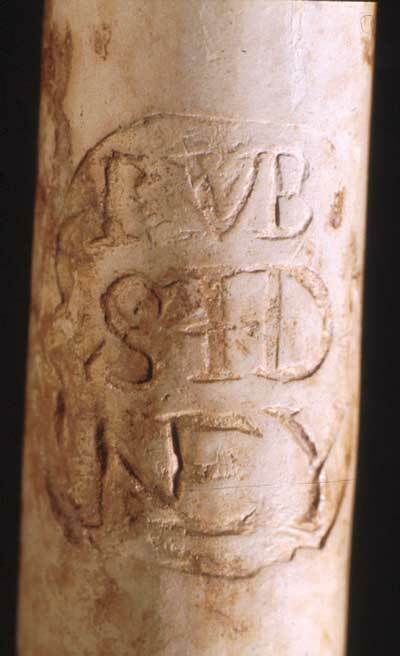 Mark identified as Reuben Sydney, Southhampton pipemaker 1687-1748. Refer to Oswald 1975:173; Walker 1971:81. REUB/ENSI/DNEY Incuse. Stamped or mould imparted on the stem. Initials RS sometimes moulded on sides of heel. Stem bore size: 5/64ths. Mark identified as Reuben Sydney, Southhampton pipemaker 1687-1748. Refer to Oswald or Walker (above). Different stamp from above example. IG	Incuse. Stamped on pipestem. Flower/Fleur de lys decoration between lettering. Stem bore size: 6/64ths. Stem fragment only. 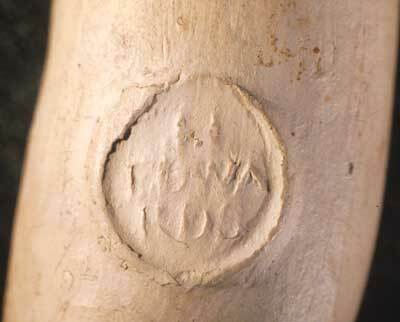 This style of mark on the stem of a pipe dates from 1675-1725 and is common in the North-East and Central Southern England (Oswald 1975:79). H/EDWA/RDS Relief. Moulded cartouche on the right side of bowl. Stem bore size: 6/64ths. Moulded cartouche on the right side of the pipe bowl is a popular style in Bristol and the West Country from 1700-80 (Oswald 1975:70). Both pipe bowl and mark identified as Bristol pipemaker Henry Edwards 1699-1727. Refer to Walker 1977:1418. R/TIPP/ET Relief. Moulded cartouche on the right side of bowl. Pipe bowl fragment, no stem bore measurement. Moulded cartouche on the right side of a pipe bowl is a popular style in Bristol and the West Country from 1700-80 (Oswald 1975:70). Identified as Robert Tippet II or III. Robert II (1678-1713 poss. to 1720); Robert III (1713 poss. to 1720). Refer to Walker 1977:1493. ER	Relief. Moulded cartouche on the right side of bowl. Stem bore size: 5/64ths. 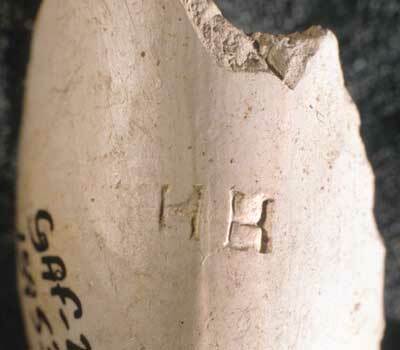 Moulded cartouche on the right side of a pipe bowl is a popular style in Bristol and the West Country from 1700-80 (Oswald 1975:70). 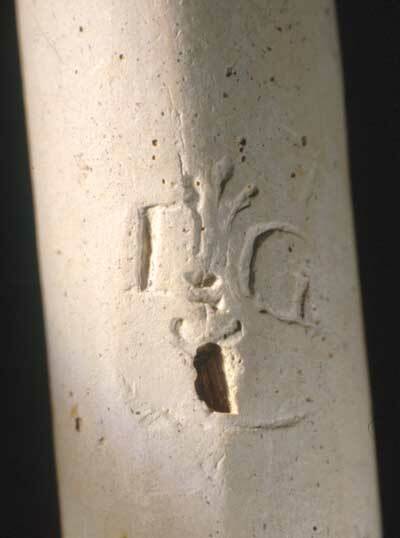 Mark of Edward Reed, Bristol pipemaker (1706-23, poss to 1735). Refer to Walker 1977:1478. E Reed	Relief. Moulded cartouche on the right side of bowl. Stem bore size: 5/64ths. 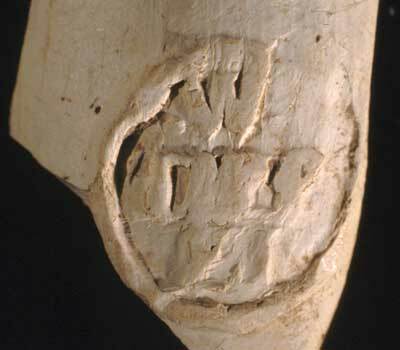 Moulded cartouche on the right side of a pipe bowl is a popular style in Bristol and the West Country from 1700-80 (Oswald 1975:70). 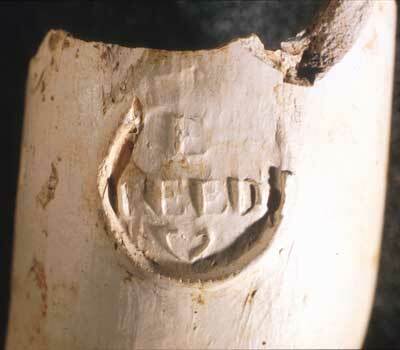 Both pipe bowl and mark identified as Edward Reed, Bristol pipemaker (1706-23, poss to 1735). Refer to Walker 1977:1478. W/TIPP/ET Relief. 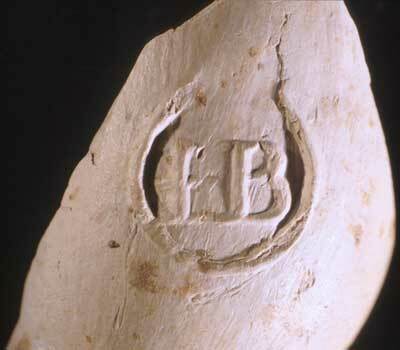 Moulded cartouche on the right side of bowl fragment. 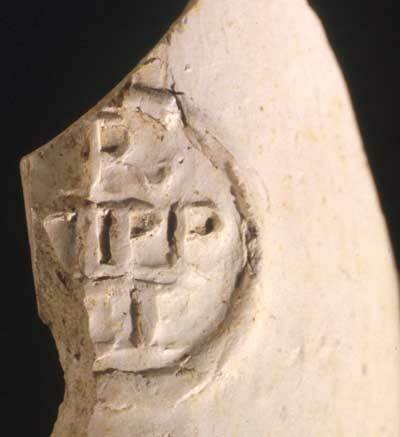 Fragment of pipe bowl only. Moulded cartouche on the right side of a pipe bowl is a popular style in Bristol and the West Country from 1700-80 (Oswald 1975:70). Mark identified as William Tippet I or II, Bristol pipemaker. William Tippet I (1689/90-1727/8), William Tippet II (1713-22). Refer to Walker 1977:1502. HH Incuse. Stamped on back of bowl facing smoker. Pipe bowl fragment, no bore measurement. 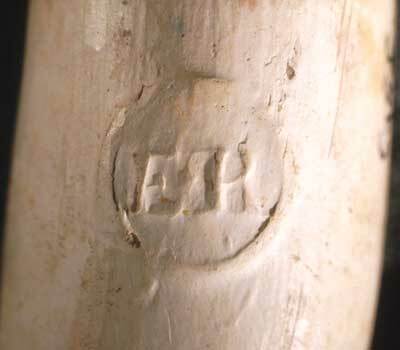 Mark identified as Henry Hoar (1699-1739), Bristol pipemaker who took over the pipe moulds of R. Tippet. Refer to Walker 1977; Oswald 1975:86. IB Relief. Moulded cartouche on the right side of bowl fragment. Stem bore size: 5/64ths. 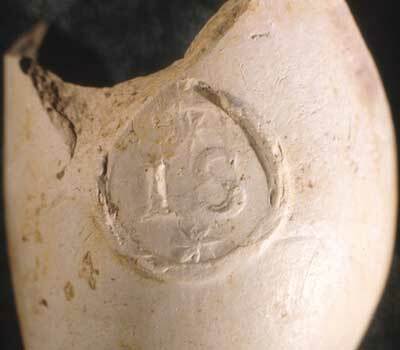 Moulded cartouche on the right side of a pipe bowl is a popular style in Bristol and the West Country from 1700-80 (Oswald 1975:70). Identified by Mark (1967:21) as Bristol manufacture and dating from 1690-1740. Many makers from this period, See Oswald 1975 or Walker 1977 for list. IS Relief. Moulded cartouche on the right side of bowl. Stem bore size: 5/64ths. Moulded cartouche on the right side of a pipe bowl is a popular style in Bristol and the West Country from 1700-80 (Oswald 1975:70). Many makers from this period, See Oswald 1975 or Walker 1977 for list.